... of the complexity of the central area of Perdigões. Structures dating from 3500 to 2000 BC. 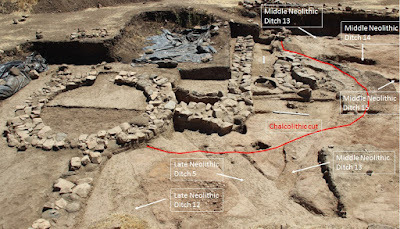 The density of structures, cutting or overlapping each other, makes the excavation quite difficult and shows that these complex contexts can only be address in open area. And the ditches, namely the earlier ones, rarely go where we expect them to go. 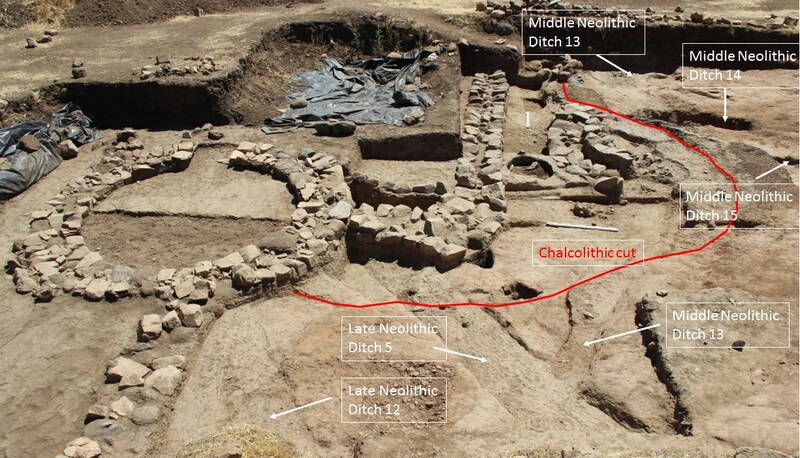 Also interesting to see that the chalcolithic occupations don't just build and occupy over the Neolithic ones. They cut the previous ones, and then form deposits and build. Something that was also detected in an area just some 10/15 meters to south of the right limits of this photo.